Everyone knows that Mercedes-Benz produces some of the finest vehicles in the world. That German engineering, that exquisite styling, and those luxurious features add up to one phenomenal driving experience. But, that quality comes at a high price. What if there was a way to get a like-new vehicle on a budget? 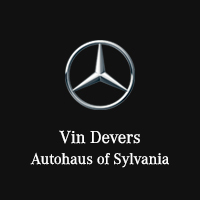 Vin Devers Autohaus of Sylvania has just the answer: Our Certified Pre-Owned (CPO) Mercedes-Benz inventory. Now you can experience that high-quality performance without breaking the bank. But, just why should you buy a CPO Mercedes-Benz? While many drivers worry about buying used, Mercedes-Benz utilizes one of most rigorous inspection processes around. In fact, only 20 percent of all vehicles vetted make the cut to become certified. The process starts with a thorough inspection of the service history and CARFAX report. This uncovers everything from past accidents to title disputes. Only cars with impeccable history move onto the next step, an extensive inspection by master certified technicians. Our technicians check every nook and cranny of the vehicle to ensure absolute quality. After over 120 components are thoroughly examined, the highest quality vehicles will become officially certified. Not only will you feel total peace of mind when you drive a Certified Mercedes-Benz, you’ll also love the many perks included with each model. One of the prime examples is the class-leading warranty package. When you purchase a car as brilliant as a Mercedes-Benz, you should drive it as much as you want. That’s why the company has eliminated mileage restrictions completely. Drive to your heart’s content! Take a Spin at Vin Devers Autohaus of Sylvania Mercedes-Benz! Now that you’re well-versed in the many benefits of Certified Pre-Owned Mercedes-Benz vehicles, why not take a model for a test drive? Vin Devers Autohaus of Sylvania has plenty of gorgeous models in stock, and our experts would be happy to find that perfect car for your needs. Contact us today for the details!